Have I told you about my parents? The short of it is, they worked every day including all major holidays and weekends for decades. Yes, even Christmas! A few years ago, I set aside money in a gift fund in hopes to treat them to a trip when they finally decide to retire. They retired a couple of years ago and last year I was able to make my longtime dream of treating them to a vacation come true. I didn’t expect for my mom to request Vegas but what momma wanted momma got! Because they chose a fairly inexpensive place to vacation last year, I still had some money left in the gift fund for them. So this year I decided to make one of my dad’s dreams come true. He had written in a journal he gifted me about what it was like to escape Vietnam after the war. People stayed quiet and looked out the ocean. They seemed to be in some kind of meditation. 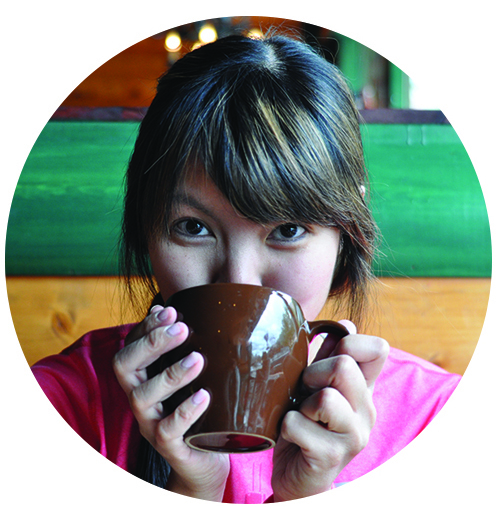 studying more, rebuilding my life!! I couldn’t give him a month but loved that he let me take him for a weekend. I say “let” because it took some convincing. It also took the generosity of my sweet friend Nazanin. My parents had the pleasure of seeing her grow up the last 19 years of our best friendship. She offered her guest room and by the end of the weekend, my parents wanted to formally adopt her! 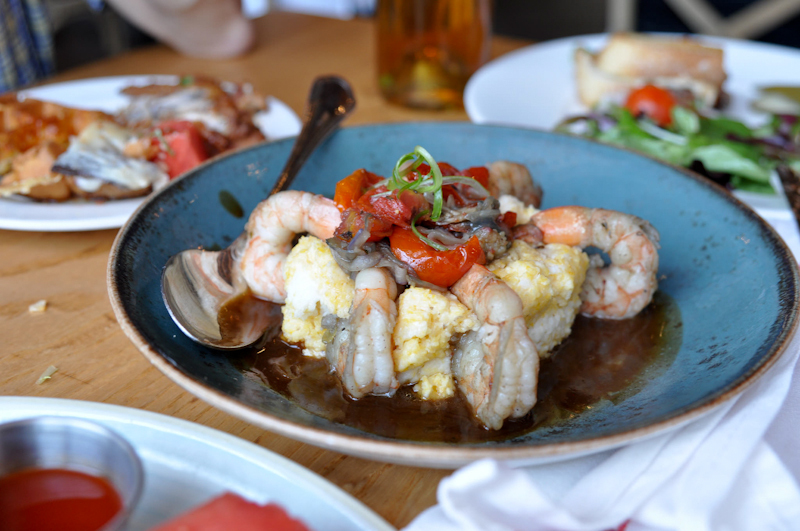 She introduced us to her favorite restaurant, famed Yardbird Southern Table & Bar. They have another location in Vegas. We ordered Nazanin’s two favorites, the Fried Green Tomatoes BLTs and Smoked Brisket Sandwich. 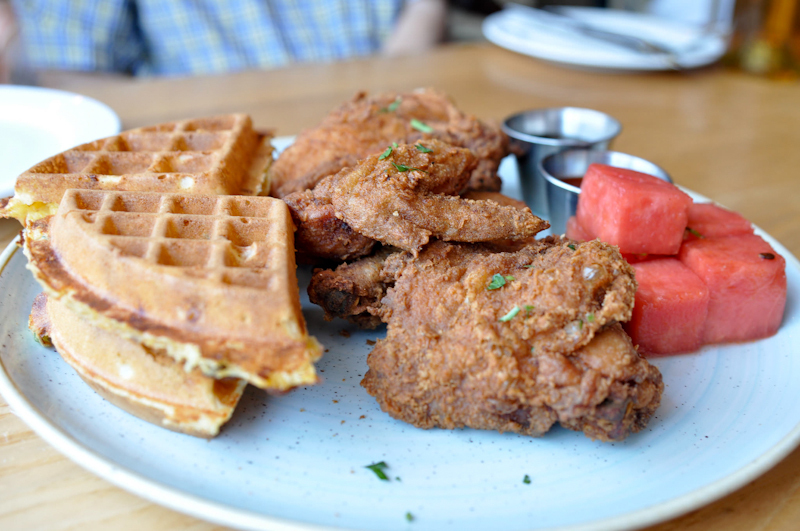 I ordered the Chicken ‘n’ Watermelon ‘n’ Waffle and the Shrimp n’ Grits. The thing about my parents never vacationing and doing all their own cooking is they don’t get to experience any of the food trends or iconic American dishes, like chicken and waffles and shrimp and grits! 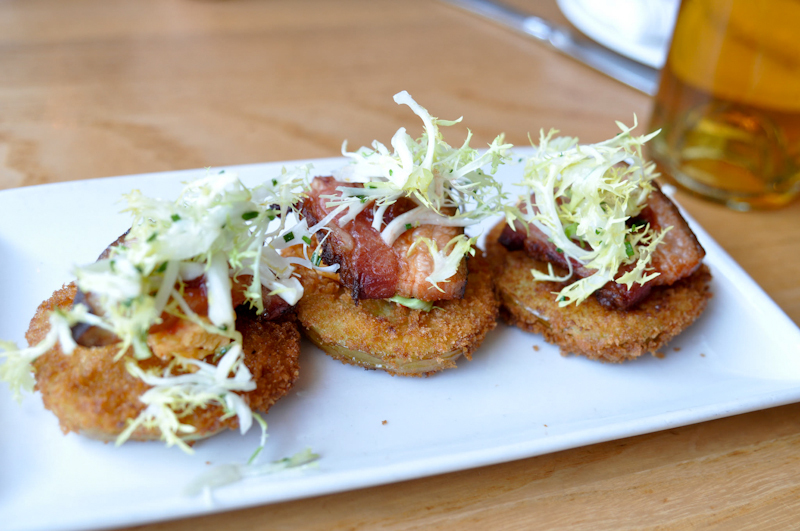 A decadent appetizer to start, the fried green tomatoes with pork belly set the tone for our indulgent brunch! 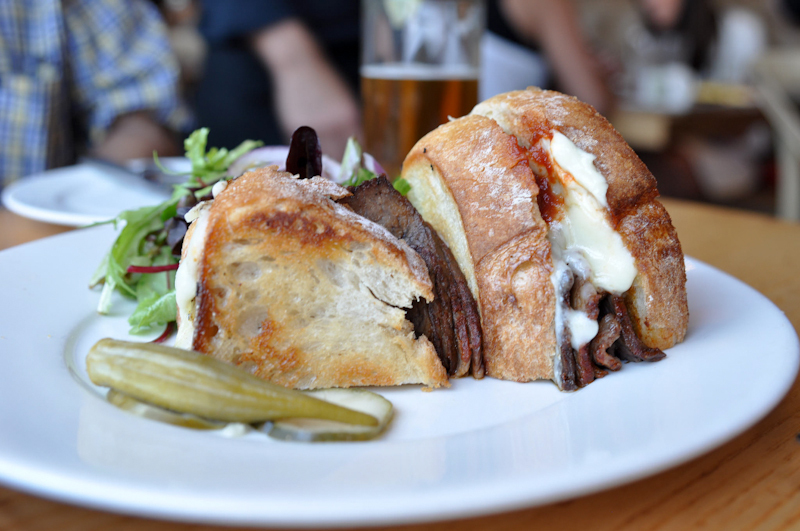 Heavy on the tender meat and heavy on the toasted crusty carbs, I can see why the smoked brisket sandwich is my friend’s favorite! The chicken and waffles was the favorite thing my mom ate during our weekend in Miami. The juicy chicken had a kick to it and I loved that it was paired with watermelon! If you find yourself here for the first time, it’s a must-try. The grits in this dish had almost a unique custard or casserole texture. I kept coming back for more bites even when I was beyond stuffed. 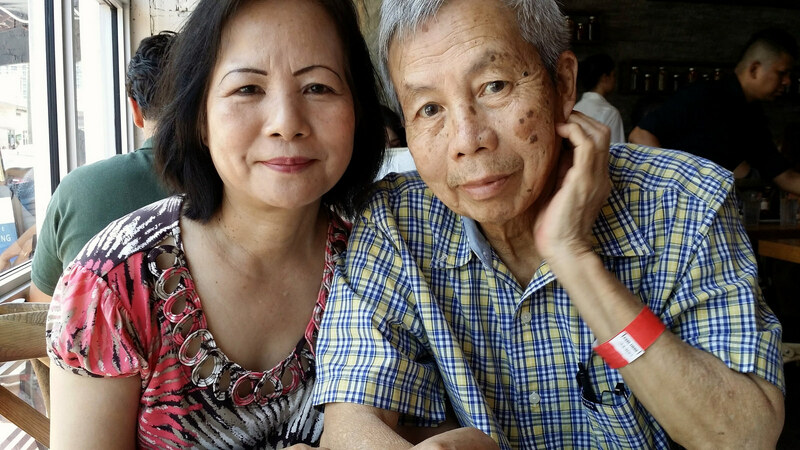 My beloved parents at Yardbird! Yardbird was a delectable vacation stop for us. Next time I’m trying the Maple Bacon Doughnuts and the Fried Oreos (only available during dinner). Reservations are encouraged and recommended! Questions: Where was your last family vacation? Favorite vacation meal?